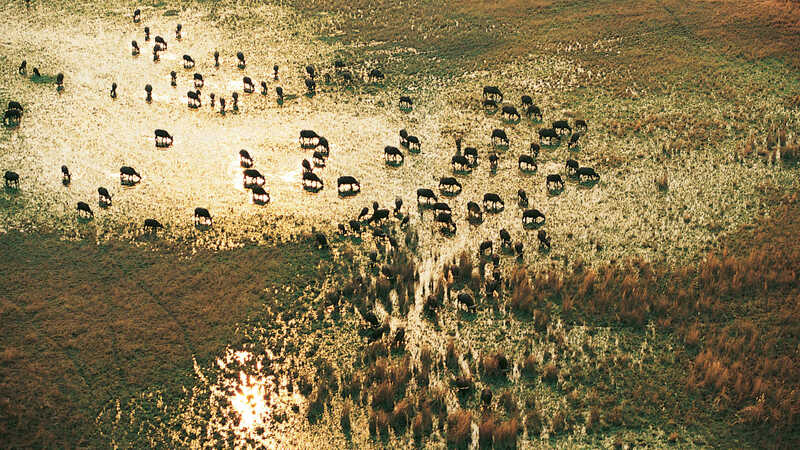 With some of the world’s most inhabited flood plains, Botswana is home to a diversity of wildlife like no other country. As well as the Big 5, a trip to the Okavango Delta will also give you the chance to spot some of the world’s rarest mammals – the white and black rhinoceros, and the African wild dog. Begin your trip with 2 nights in Victoria Falls before heading out on an incredible 8 night private 4WD & Light Aircraft safari. 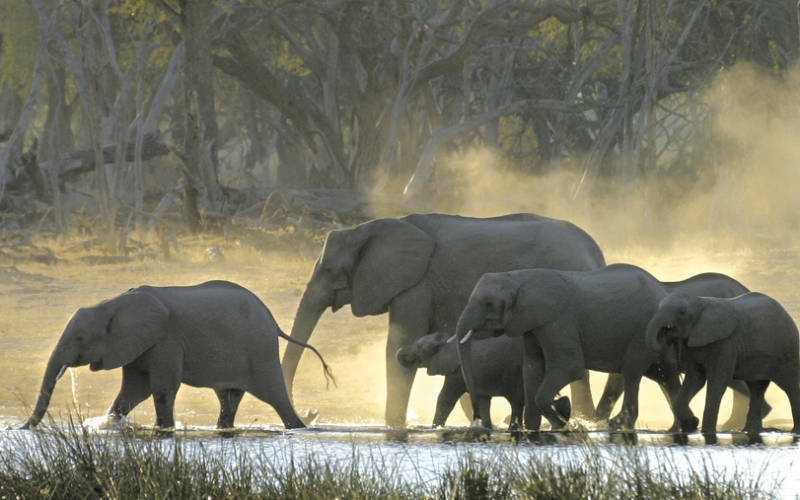 Accompanied throughout by an expert guide, you’ll experience Chobe National Park, the Okavango Delta plus also the Makgadikgadi Pans, which offers incredible birdlife and water-dwelling wildlife viewing opportunities. This trip ends with a flight down to Cape Town, where you’ll unwind before the flight home. This itinerary is a completely bespoke one, so if you’d like to amend it at all – then that’s fine. Just fill out a contact form and one of our team of experts will be in touch! 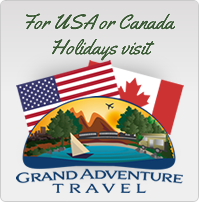 Inclusions: Accommodation, scheduled activities & laundry service. All meals, refreshments, local spirits & wines (excluding premium brands). National park fees, Airport Departure Tax and all government levies and taxes. All Scheduled charter flights per package. Fly back to the UK from Cape Town. This superb ten-night safari takes you on a journey of discovery of Botswana’s northern highlights – Chobe National Park, Savute, Moremi Game Reserve and Makgadikgadi Pans, and includes the magnificent Victoria Falls. We’ve then included an additional 5 night stay in Cape Town. Other amazing places to end the trip would be Zanzibar, or an Indian Ocean island like the Seychelles or Mauritius. For those with time to explore further, an extension to the Nxai Pans is a must, a true wilderness and in complete contrast to the lush Okavango Delta. Staying in intimate, authentic bush camps with personalised service, this safari visits areas with some of the most contrasting diversities of flora, fauna and wildlife in Africa. On arrival at Victoria Falls airport, you are met and transferred to the Victoria Falls Hotel, where you will stay for two nights. Explore the lovely town on foot, or take part in one of the many exciting activities such as bungee jumping, white water rafting or elephant back safari. Access to Victoria Falls is within easy walking distance from the town centre. Following breakfast, you will be transferred by road to Chobe National Park, where you will stay for two nights. Game drives and boating trips in search of wildlife can be enjoyed. Transfer to Kasane Airstrip followed by a flight to Savute Airport. Drive to your lodge, where you will enjoy game drives in open 4×4 vehicles in the Savute area including the Savute Marsh and the ancient San Rock paintings at Gubatsa Hills. Transfer by road to Savute Airstrip for your flight to Camp Moremi Airstrip, followed by a road transfer to your camp, where your activities will include game drives and boating. Road transfer to Camp Moremi Airstrip for your flight to Leroo La Tau, Makgadikgadi Pans, where activities include day and night game drives, nature walks and cultural excursions. Transfer to the airstrip for your flight to Maun by light aircraft and connect for your onward flight to Cape Town. Fly directly from Maun to Cape Town. Spend 5 nights exploring the Cape, where you can head into the wine regions, go whale watching and spot penguins on Cape Peninsula. Receive a private transfer to the airport for your inbound flight to the UK.